You want your outgoing mail to get where it’s going fast. The growing variety of mailings, tight schedules, and the need for efficiency in the mail room demands ever more performance from folding and inserting solutions. 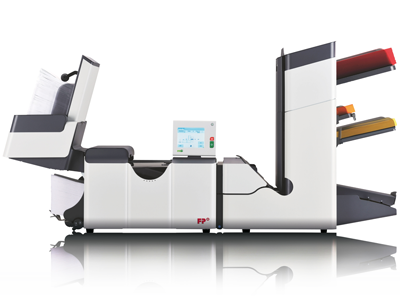 The FPi 5600/6600 inserting system comes straight to the point of automated letter inserting: simplest operation, reliable letter handling and a high degree of flexibility.